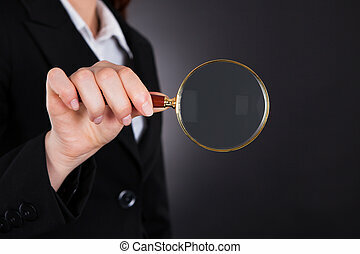 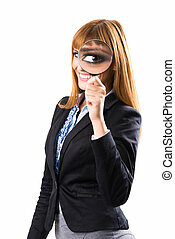 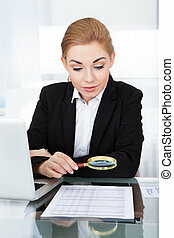 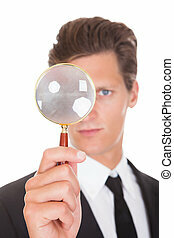 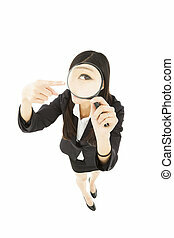 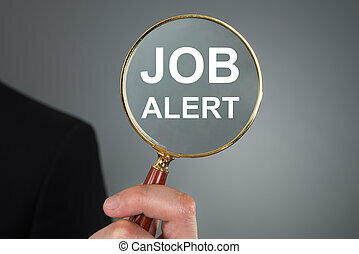 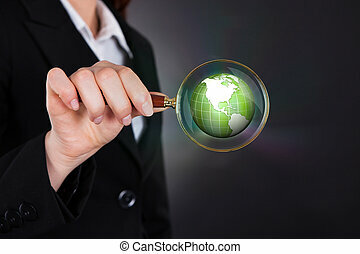 Businesswoman holding magnifying glass. 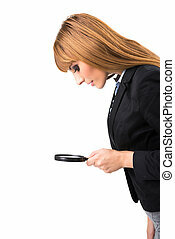 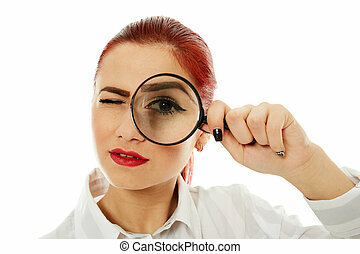 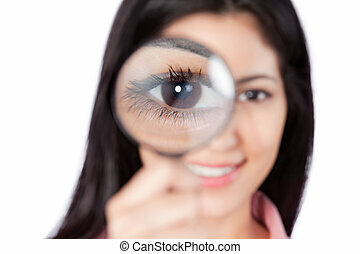 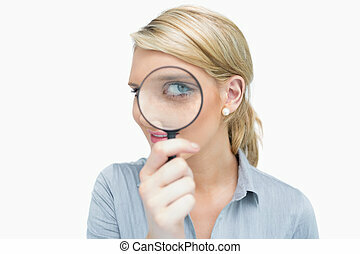 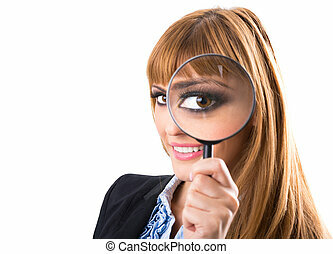 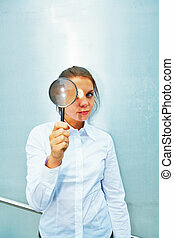 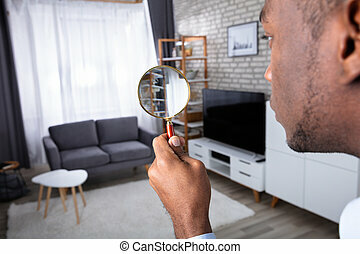 Businesswoman looking at document through magnifying glass. 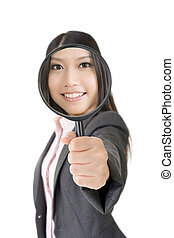 Portrait of a beautiful young asian businesswoman holding magnifying glass. 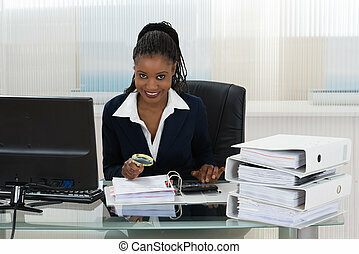 Isolated on the white background. 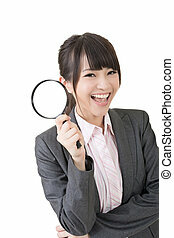 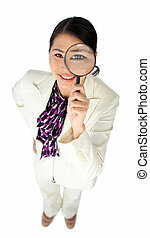 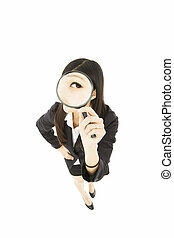 Smiling young asian business woman looking through a magnifying glass. 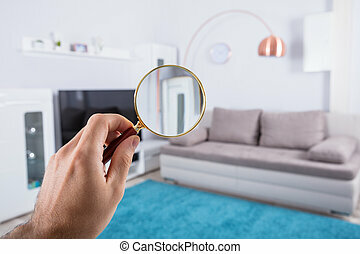 Isolated on the white background. 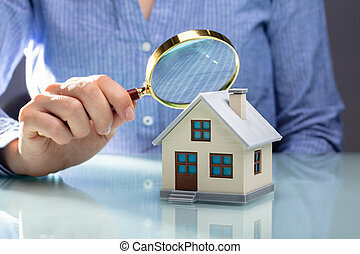 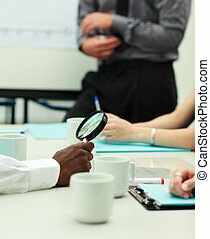 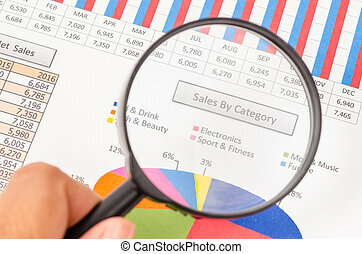 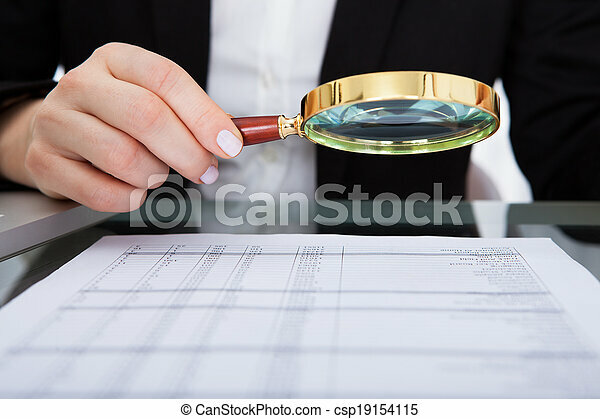 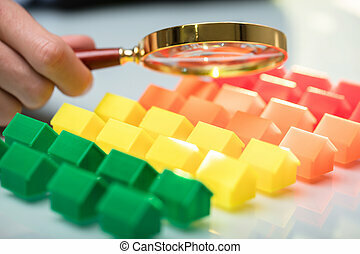 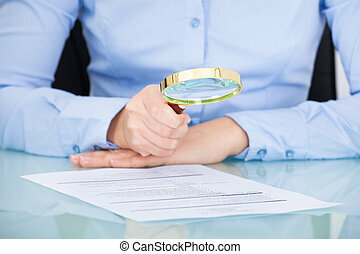 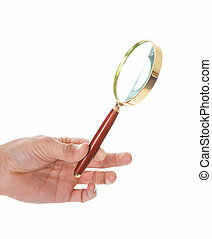 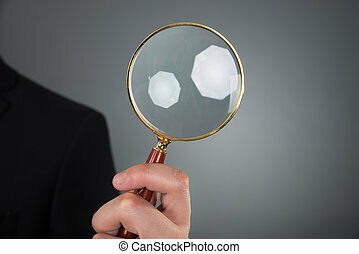 Hand of businesswoman holding magnifying glass on sales by category report. 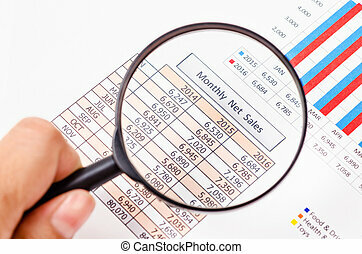 Hand of businesswoman holding magnifying glass on monthly net sales report. 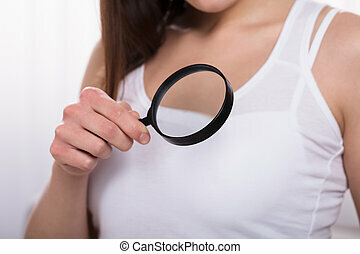 Happy young woman looking through magnifying glass isolated on white background.